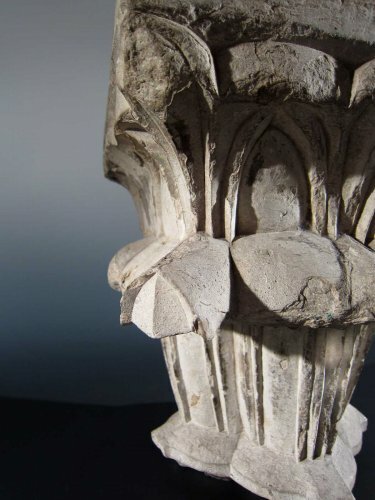 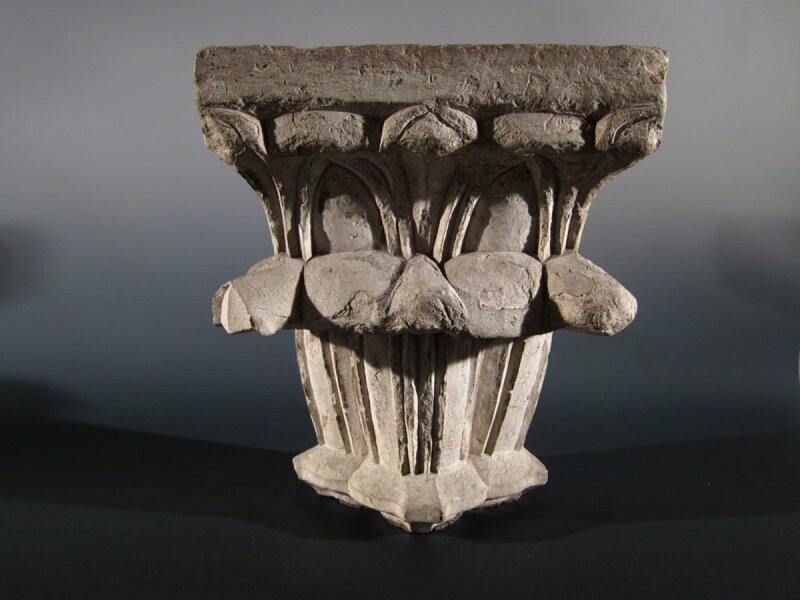 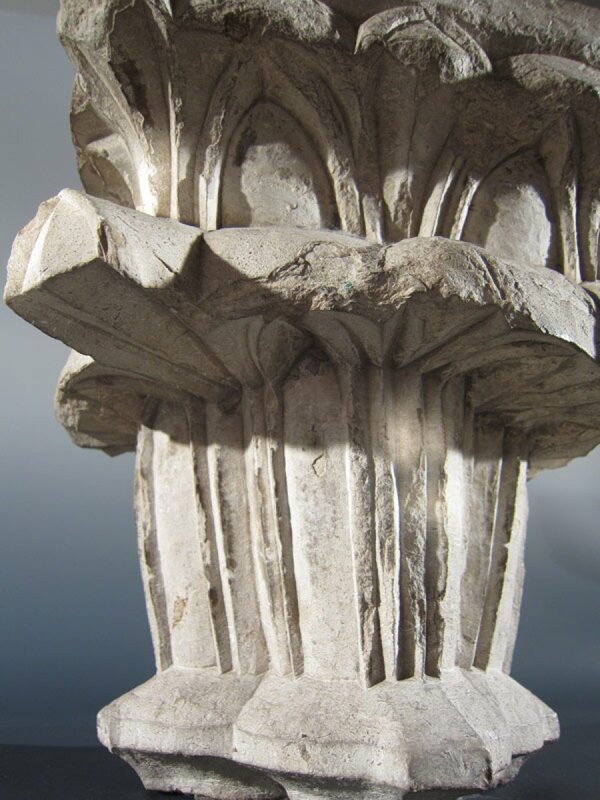 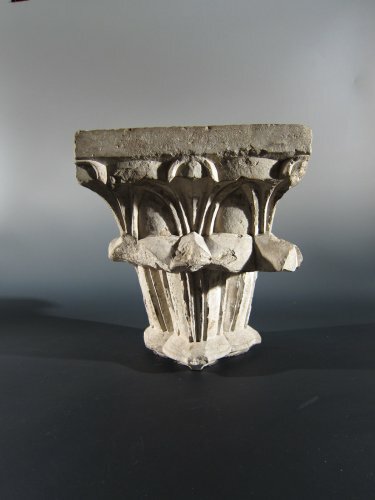 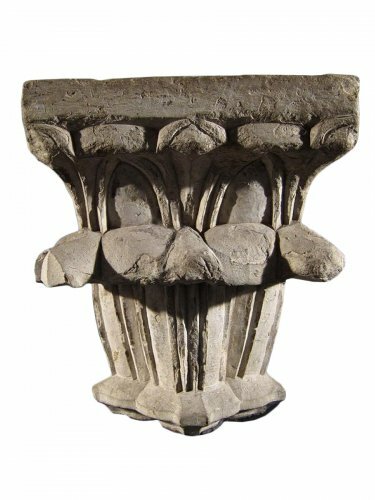 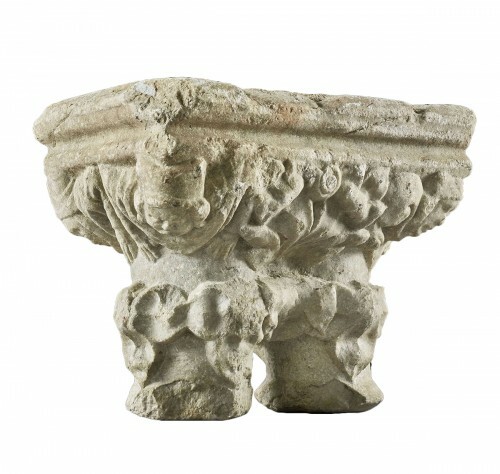 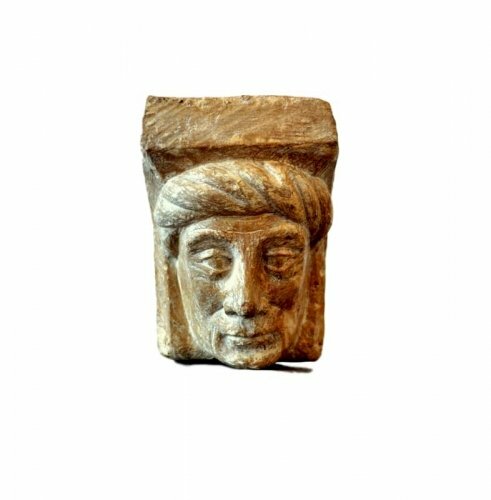 An important Gothic capital, carved in limestone and in fantastic condition. 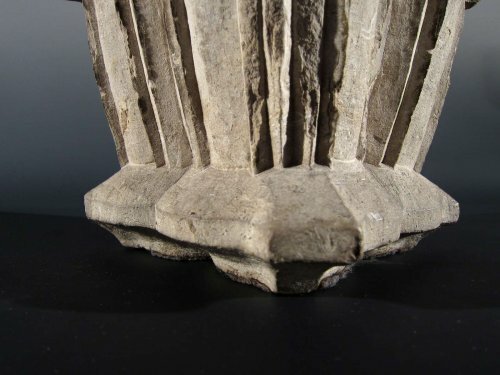 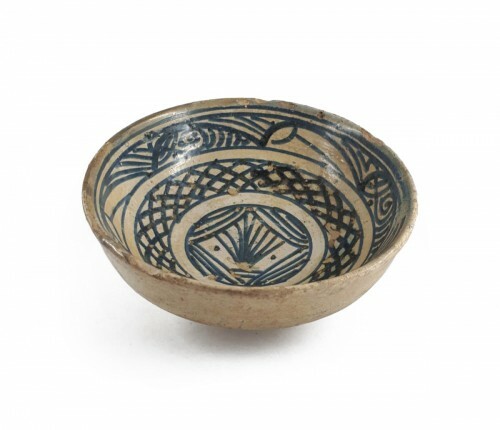 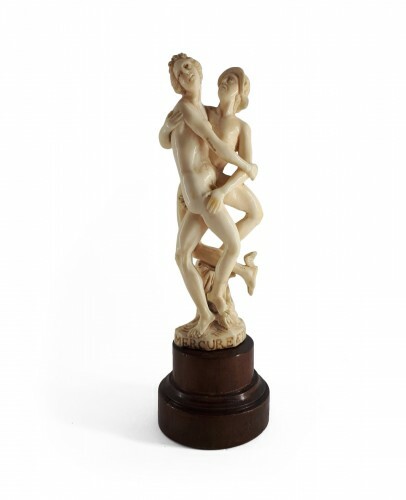 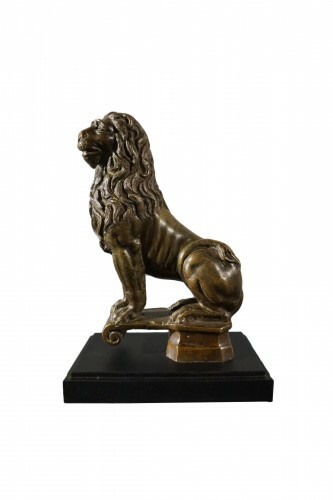 The decoration shows great relief volumes and it still conserves some very defined and sharped edges, an uncommon feature in pieces of this period. 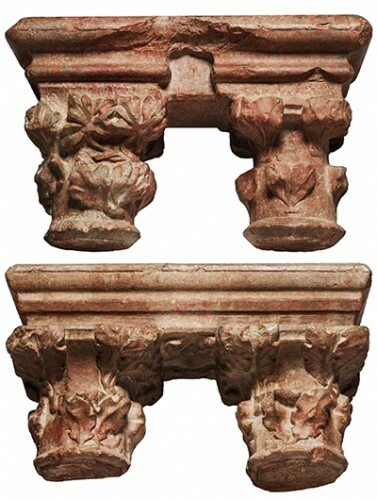 The Lázaro Galdeano Museum in Madrid conserves three similar capitals, although smaller and of lower carving quality (Nº inv. 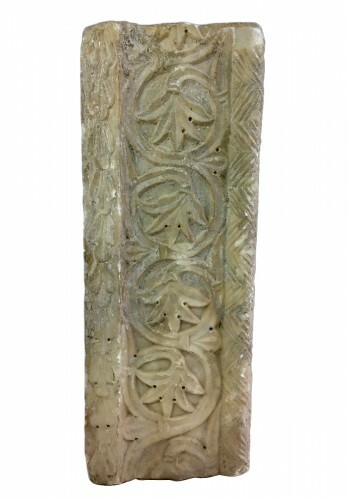 265, 267, 276). As well as these, our capital comes possibly from the region of Valencia.